Why would you need a foldable phone? How would that even work? Well, you might be finding out next year as Samsung is rumored to be launching a new foldable phone called the Galaxy X in 2017. There may even be two models. Samsung already has the Galaxy S7 Edge with its rounded display, and they have been working on foldable displays which might be ready to launch next year! Samsung is allegedly testing two variants of the device, with the main difference being the processor. One has the Qualcomm Snapdragon 620, while the other has the Snapdragon 820. These are some of the newest processors from Qualcomm that feature Quick Charge 3.0. There is a reported 3GB of RAM, a MicroSD slot for expanded storage, and a non-removable battery. It is unlikely that this phone will be very affordable at the beginning. What do you all think about this? Is it something you would be interested in? Technology is changing the way we do so many things. From how we communicate with one another, how we drive cars, and now even how we get deliveries. What is the technology that is changing this? We have all heard of maybe the drones that fly in the sky to deliver packages from places like Amazon. Well now there is talk about drones that drive on the sidewalk. Everyone wants to deliver packages with drones. It is the newest technology, so of course everyone wants a part of it. Starship Technologies, a startup founded by former Skype co-founders Ahti Heinla and Janus Friis, is taking a different approach than places like Amazon and DHL. Instead of using drones that fly, they are planning on bringing drone delivery back to the ground with six-wheeled robots that deliver goods. The bots look a lot like coolers on wheels, but they have a lot of sophisticated technology in them. Starship has equipped the bots with different cameras, sensors, and autonomous navigation technologies, which work in concert to help the machine travel along city sidewalks, dodge pedestrians, and transport goods from one location to another. The robots are designed to drive on sidewalks, unless they are crossing streets. Now what does this mean for people, and jobs? Is it creating jobs by having people who need to program and manufacture these drones? Or is it creating job loss for deliverymen and women? This goes along with McDonald's and their automated cashiers. Is technology starting to become too important in our lives? Or is it hurting our human interaction and jobs? After working on our Ethnography projects in class, and studying the behavior of different online communities, it came to my attention that the Internet can help us and yet hurt us as well. There are many pros to online communities that I found such as: the usual need for belonging is met; people have a place where they can go when they want to escape reality; Anyone can find a group online where they can share and talk about the same interest; and people do not have to be ashamed of an "obsession" for a particular topic that they have because there are millions of people online that can have the same interest. Online communities provide a safe and effective way for people to communicate with others outside of their everyday acquaintances and learn more from their peers about their specific interests. Online communities can have their drawbacks. It seems that online communities can become addictive, and this can be a part of the Internet Addiction epidemic. "Some Internet users may develop an emotional attachment to on-line friends and activities they create on their computer screens. Internet users may enjoy aspects of the Internet that allow them to meet, socialize, and exchange ideas through the use of chat rooms, social networking sites, or "virtual communities." Other Internet users spend endless hours researching topics of interest online or 'blogging'"
So, even what I am doing right now is part of an online community that can become addicting to some people. Social media like Facebook, Twitter, and Snap chat can be addicting. I of course don't have that problem. I only check my social media accounts about 100 times in one hour. Online communities can be fun and can help people connect and branch out, but depending on how much time someone spends in this online community the results can be a bit more serious. People can spend so much time in their virtual lives that they don't focus on what is happening around them in their everyday lives. They can lose interest in other things because of these online communities that are so welcoming to them and their particular interests. It can be a dangerous game. What do you guys think? Thoughts on online communities? Internet Addiction? After reading the article, Online Abuse: we need Good Samaritans on the web, I was awakened to the reality of how the Internet is making people less sympathetic or empathetic, and people are sharing or posting things without the realization of how it could affect someone's life. I'm sure we have all seen a video of people fighting, people getting hurt, people being taken advantage of, and many other horrendous videos of violence, and yet...we do nothing. Does this relate back to the fact that we believe we are safe on the web, behind a screen? Are we so desensitized by online personas, that we do not view these people as people anymore? In the article, Carrie Rentschler mentions #JadaPose. A horrific instance of how people do not do anything when they see horrible acts online. They don't feel it is their responsibility? They don't feel the realness of the situation? The fact that people can reenact the pose of a woman who was passed out and sexually abused, making it almost seem like a joke, is an awful step for human-kind. Even in the "real world" people take out their phones when something happens on the streets. They have to record every instance and post it on social media to go "viral." In these moments, it seems that the Internet is ridding humans of their compassion. Media is making it easier to avoid the actual problem, and they believe by sharing it, that it is enough on their part. We need to stand up when we see cyber-bullying, or when we see things that are just not okay. The Internet has a lot of good, and it has helped a lot of people...but it could be desensitizing us of our basic human compassion. Whether people are creating the violence, take out their phones to record the acts of violence, or share violence and make fun of the victims on social media, they're all at fault. We need to regain the human compassion that I hope was even there to begin with. Is this the new texting and driving? Are we going to start having public service announcements on the T.V. telling us to not text and walk? I feel like this is the beginning. I feel like this will happen in the future. Fatality due to texting and walking. Texting and driving is a big deal. Using your phone while driving had to be banned because it was becoming such an issue, and even with the ban, there are still people who text, search, use social media, and just check their phone while driving. Especially with texting, it has been a big issue in recent years. There have also been campaigns on television and radio that demonstrate the horrific accidents that can occur with texting and driving. No post is worth a life. No text is worth a life. No phone call is worth a life. BUT WHAT ABOUT TEXTING AND WALKING? Apparently it is becoming a big deal as well. 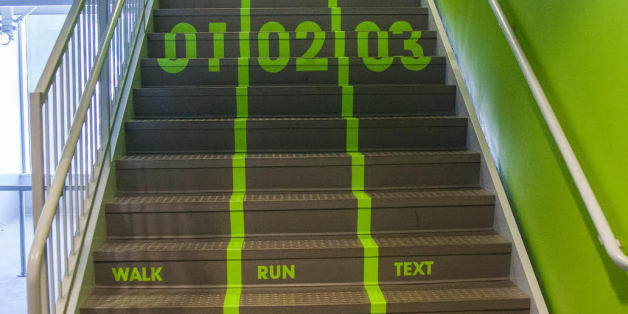 Utah Valley University has designed a "texting lane" for students. A texting lane. THAT IS CRAZY. It is such a common thing, that there has to be a designated LANE for people texting and walking. I wonder how busy that lane would be. 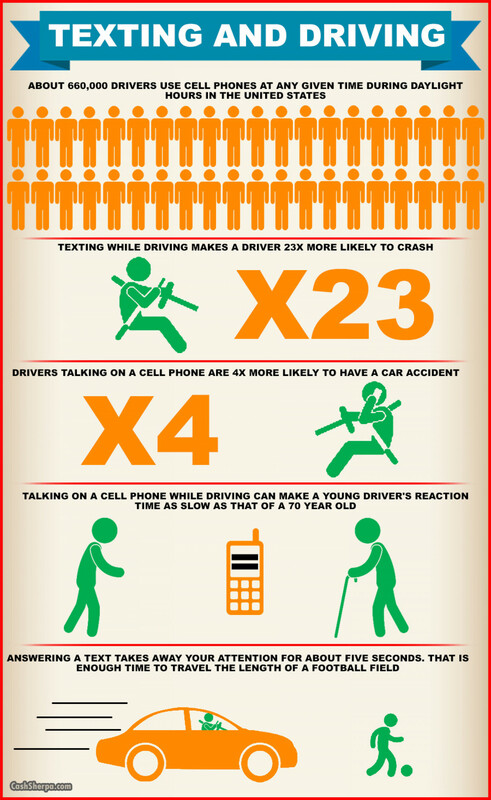 We know the risk involved with texting and driving (thought people still do it), but now it might be time to pay attention to the risk of texting and walking. It seems that most people do not see it as an issue, but a lot of people do it. The number is only rising, as more teenagers get cellphones, or even getting cell phones at younger ages! It might be a good idea to be careful of this epidemic and be safe about it before it becomes a real problem. 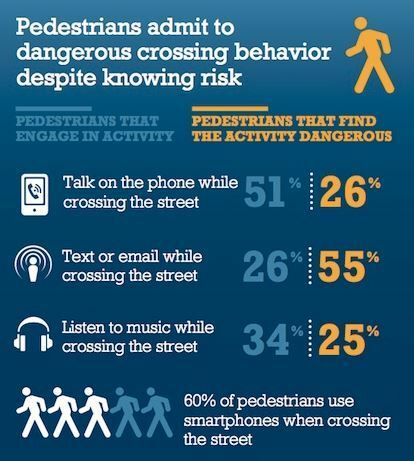 Are texting lanes the right way to start creating a safer awareness of texting while walking? Should people start viewing this as a problem? Privacy: Should schools monitor students social media accounts? Should School Districts be able to monitor their students' social media accounts? Is this a safety precaution? Or is this an complete invasion of privacy? I feel like it is hard to determine what is best in this kind of situation. I believe that it is an invasion of privacy, and what you post on your social media account should not concern your school...in MOST cases. Monitoring cyberbullying. If an incident is brought up in school, where a kid is being bullied by another student, then I think it is okay to monitor the social media sites to prevent things from continuing. BUT I feel like these incidents have to be brought up in school, and talked to with a councilor or staff member--They should not just lurk on students profiles and suspend a kid because of what they see. It should be talked about beforehand at least. Threats to the school or community. If there is a rumor about some threat said by a student that can possibly harm innocent people, this should be checked out. BUT AGAIN, it should be talked about beforehand and they should not jump to conclusions. If there is something that would effect the learning and safety of the students, then it should be okay to monitor social media. Otherwise, they have no right to act on something they see on a students profile. I know that it is online, and that anyone can see it. As long as the student is asked about something concerning or checked on first before taking action it should be fine. I think social media monitoring needs to be used only when there is a direct connection with the school, and the effect on the students. Is this for safety or for snooping? Should schools monitor social media accounts? Is that going to far?